How to be an eco-friendly scuba diver in the Maldives! Today we celebrate World Oceans Day. As divers, we are all connected by our passion for the ocean – our passion to explore it, to experience it and to protect it. 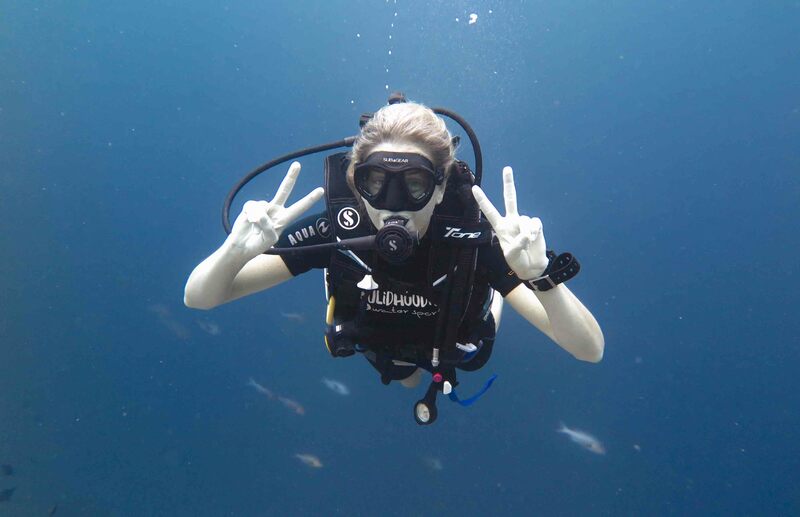 Scuba diving in the Maldives offers us the chance to be a part of a world unlike anything above the surface, but it’s important that we respect that world, and scuba dive in a responsible and eco-friendly way. In the Maldives, there are some very specific things you can do to help protect our environment and some particular regulations to be aware of. Our base leader Ali Miuraj put together his top tips for eco-friendly scuba diving in the Maldives and we hope you’ll remember them next time you dive! Dive neutrally buoyant and streamlined at all times. Maintaining good buoyancy control will ensure that you do not accidently damage fragile corals or disturb the marine life. Ensuring that your gauge and octopus are safely tucked away minimises drag and any potential harm to your surroundings. Feeding marine species, such as sharks and rays, changes their natural behaviour and as a rule this is something eco-friendly scuba divers should avoid. It may lead the animals to associate humans with food, or to the animals becoming overweight or lazy. Some studies suggest that the change in diet also leaves animals more at risk of diseases. Leave your spear gun at home! Possessing or fishing with a spear gun is illegal in the Maldives. Anyone attempting to smuggle one into the country will be faced with the possibility of being arrested, fined or even jailed. Selective fishing with a spear gun can lead to the eradication of sexually mature species that are vital to the reef’s ecosystem. What’s more, it can leave fish injured, which leads them to die a slow, painful death. 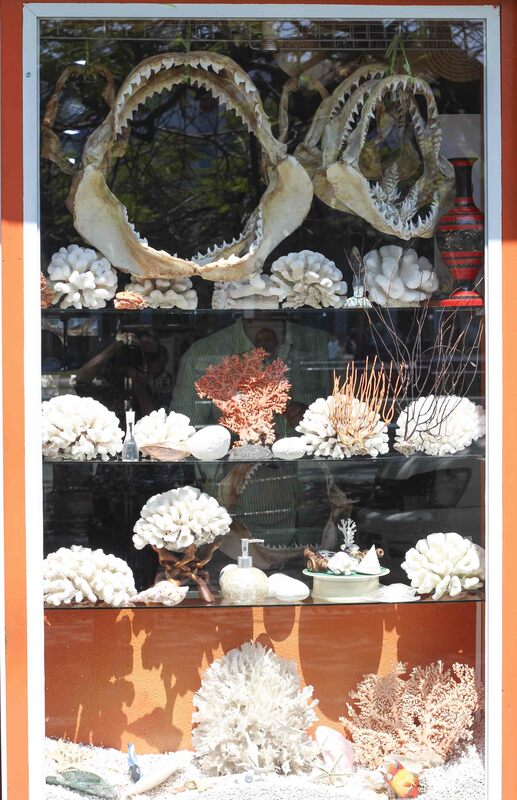 Say ‘NO’ to coral and shark souvenirs! When visiting the gift shops in Male’ or other local islands, you may notice that there is a variety of dried corals and shark jaws for sale. Buying dried coral supports the global destruction of endangered coral reefs whilst purchasing shark jaws contributes to the annual slaughter of over one hundred million sharks. 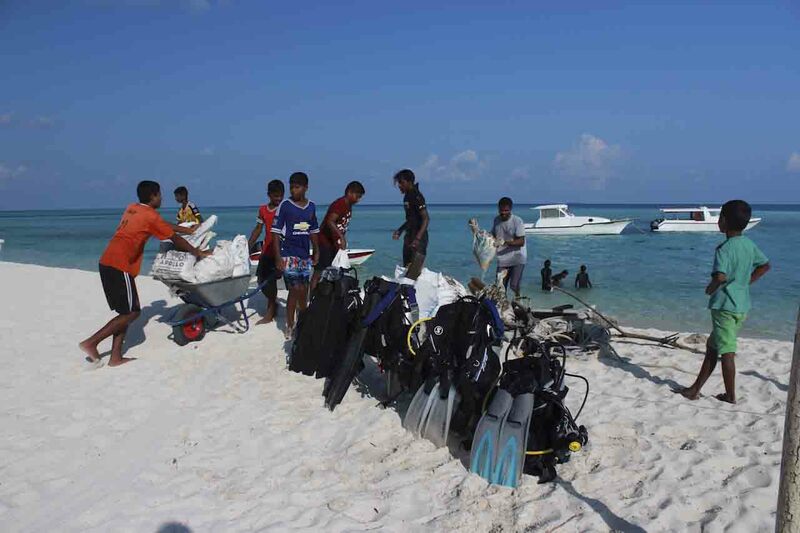 In addition, although the sale of coral and shark merchandise is allowed within the country on the grounds that these products have been imported from elsewhere, the export of any coral and shark product is strictly prohibited under Maldivian law. This means that if you are caught at customs when leaving the country with your souvenir, you could face severe penalties. Wherever you are arriving from, you might want to think about offsetting the carbon emissions it took you to get here. There are several websites that are dedicated to helping you calculate your carbon footprint by making a donation to a conservation charity of your choice to ‘balance’ the impact those emissions made to the environment. 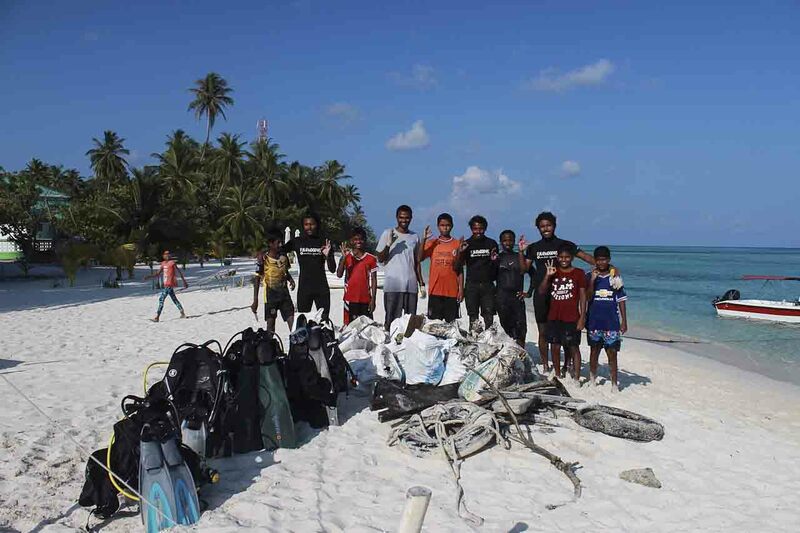 At present, there is no sustainable recycling infrastructure in the Maldives for many products and materials. Many divers use non-rechargeable batteries in their dive torches. Instead of disposing of them whilst you’re here, take them with you and recycle them at home, along with any plastic you might accumulate. Especially if you are visiting a local island in the Maldives, such as Fulidhoo, you’ll definitely have the chance to do a bit of beach cleaning – even if it’s just a ten-minute stroll at sunset picking up trash – everything counts! And if you’re diving with us, come and chat to us about organising an underwater clean-up while you’re here. If you are going to take photos underwater, make sure you don’t use the reef to stabilise yourself whilst doing so. Avoid rearranging or moving anything on the reef, as tempting as it might be to get that ‘perfect’ shot! And if you’re using a flash or strobe, make sure it doesn’t startle any of the timid marine life. Never chase, tease or attempt to ‘ride’ any of the marine wildlife, as this might stress or provoke the animal and ultimately instil a fear of divers in these species. 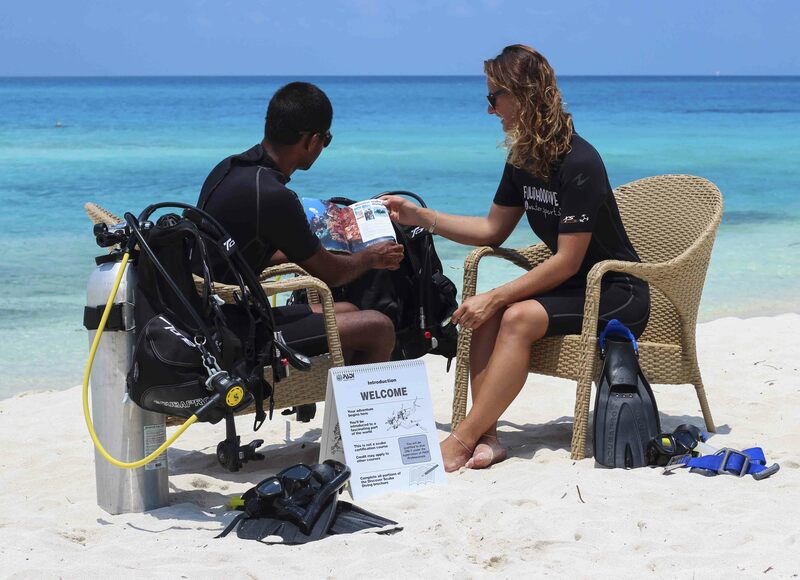 PADI offers speciality courses that can help you to become an eco-friendly diver. For example, the Peak Performance Buoyancy specialty will ensure that you’re much less likely to accidently damage the reef. Likewise, PADI’s Project Aware Coral Reef Conservation speciality will teach you about what you can do to help preserve the aquatic environment.